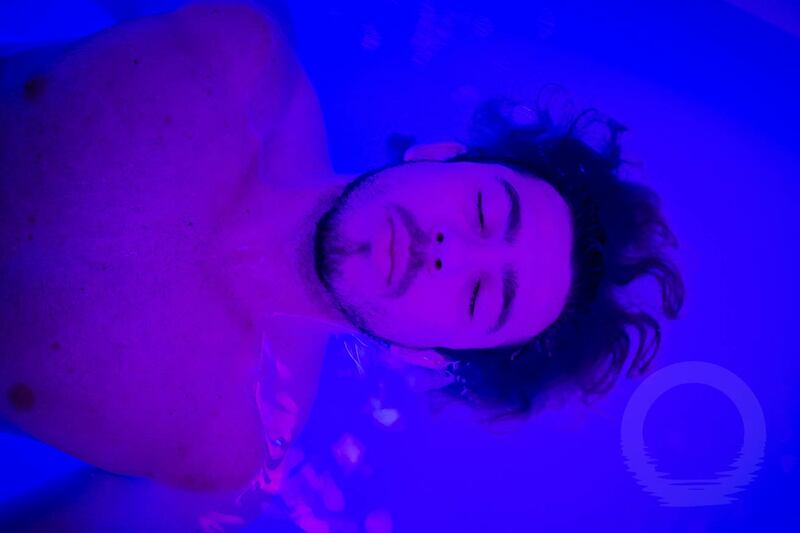 Floatation sessions are all about relaxation but a significant proportion of the general public are too nervous of confined spaces to even consider entering a typical floatation tank. We solved the problem of getting a lot people to float by redesigning the environment. Our floatation pools are reassuringly tall and are accessed through a conventional style door. 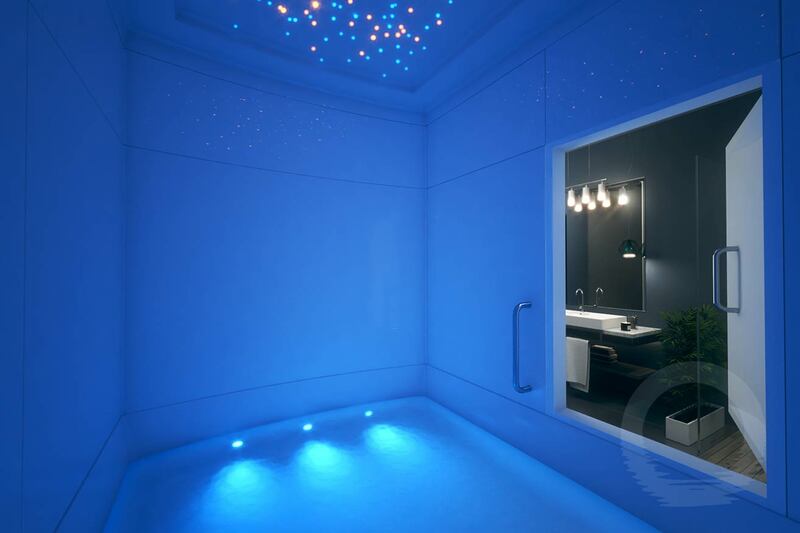 Underwater Pacific Blue LEDs create a blue-lagoon environment, whilst illuminating the spacious interior with a feeling of tropical calm. An inviting and generously proportioned side opening doorway offers easy entry and exit for everyone, including the less able. Conveniently positioned grab handles and slip resistant floor giving greater safety, comfort and security. A magnetic door catch allows easy opening. 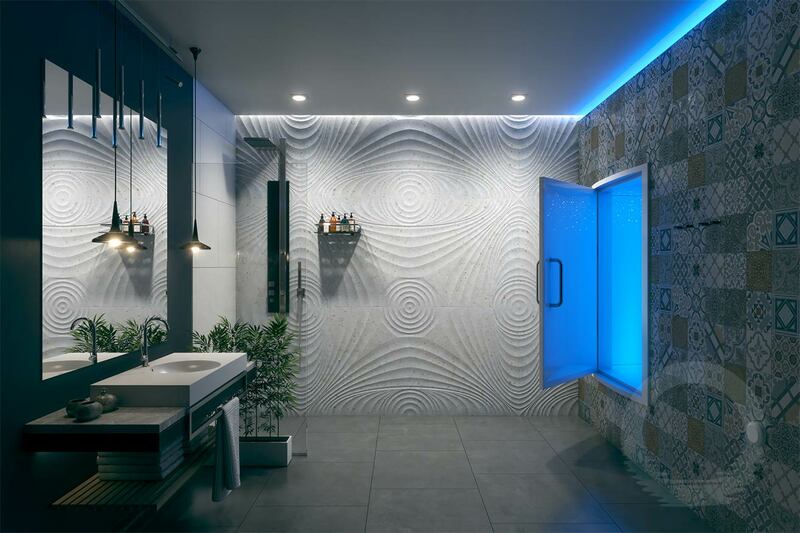 Transducer speakers cleverly positioned within the roof and below water level produce a crystal clear “sea of sound” that envelops the client and flows out into the suite, for feelings of gentleness and relaxation whilst showering and changing. Our unique, low-watt density heater is fully screened against electro-magnetic radiation. The patent pending design ensures remarkably stable and even heat distribution throughout the water to produce the perfect float. This is the most advanced of its kind on the global float market. Our Smart Float® system gives you fully automated control over your daily operations and maintenance programme. Controlled from a PC, Tablet or Smartphone, Smart Float® includes fully adaptable float cycles, music control, professional intercom, and control of float room and suite environment; including temperature, automated chemistry, filtration, in and out of open hours, down-time settings, customer-specific session settings … and much more. A powerful, but quiet magnetic-drive pump with high capacity filtration system cleans the float solution a minimum four times whilst each client is showering and dressing. Sterilisation is automatic, eliminating the manually adding chemicals. Up to 100mm, (4″) efficient thermal and sound insulating materials used in the float room construction creating a warm, stable and quiet float environment whilst reducing operational costs. Full Chemical and Maintenance kit includes cleaners, testers, chemicals, etc. The standard room is a work of art in its own right. However, the effect can be further enhanced with bespoke finishes, Cathedral ceilings and other upgrades. 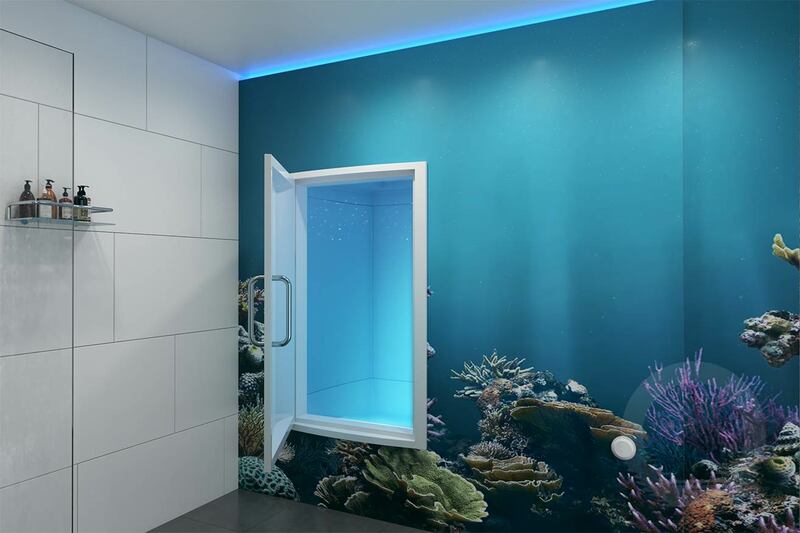 Why nor personalise your float room with an image of someone meaningful, something special, or your logo on a hardened glass finish. Just supply a high-resolution digital file and we will do the rest. Or chose from an infinite variety of digital images already available. 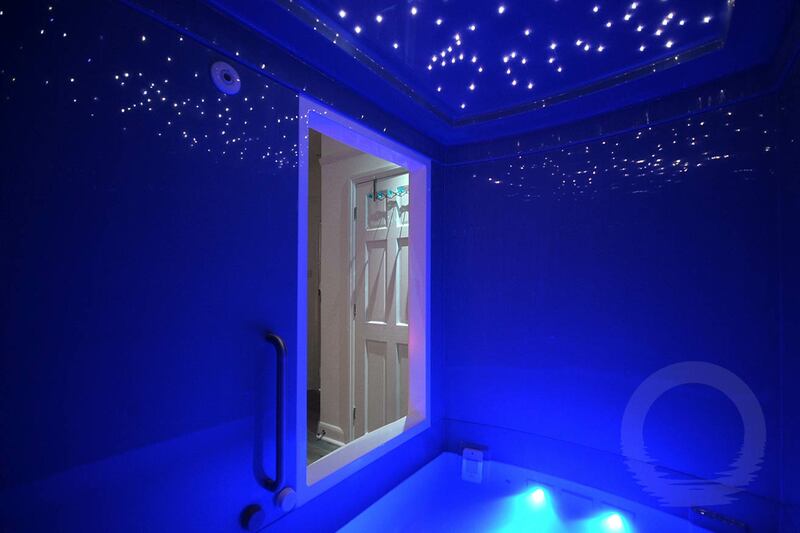 Loved by Ocean Float Room owners and their clients our wonderful, authentic star-lit ceiling is patterned from a blue print of mid-summer night sky. Between 160 and 220 stars lights twinkle, change colour, or brightness, depending on your preferred choice and size of float room. Hardened coloured glass offers a clean, classy and stunning finish in a range of beautiful colours. Maintenance free and easy to clean, you will love its resilience and lasting quality. Or chose you favourite tile for a variety of high quality looks. The remarkable QUANTUM takes water hygiene and water clarity to the ultimate level.
. The only technology available with the ability to instantly destroy all viruses, bacteria and pathogens, and like no other device, break down oil and contaminants. Due to its ease of use and clarity of voice, our software-based intercom system is the therapists and professional’s choice. Clients are relaxed and reassured in the knowledge that float staff are also the push of a button away. 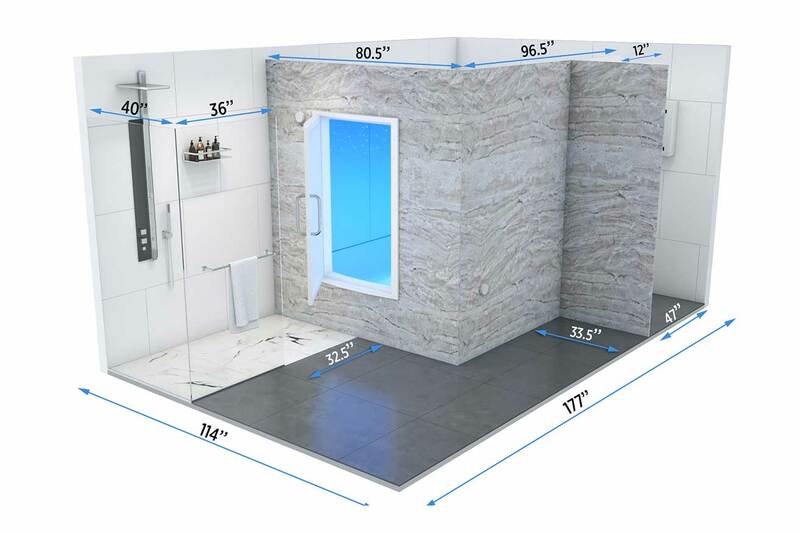 Add to the tranquillity and wonderful sense of space your clients feel as they step inside your float room by increasing the interior height. The float room can be extended by up to 500mm (20”). Our friendly highly skilled in-house team will help make your sep by step journey from concept to completion an unforgettable and enjoyable experience. Financing your float room is easy! 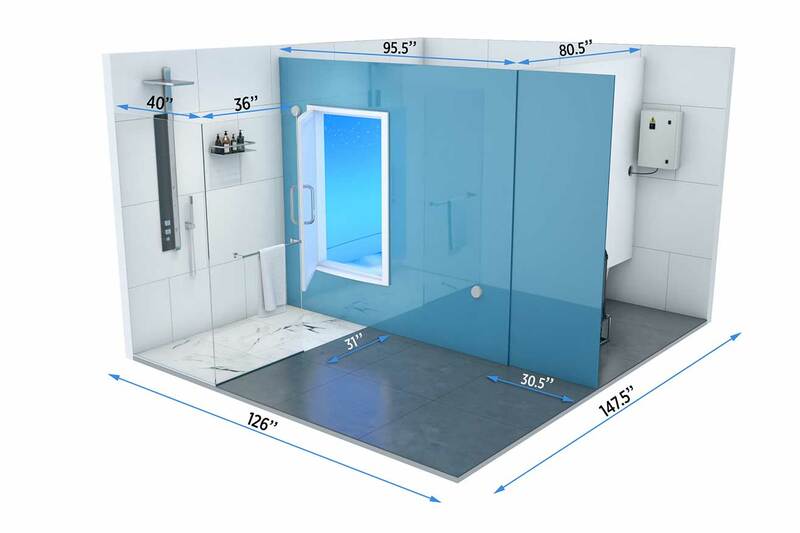 We work with Arkle finance who offer competitive financing for your Ocean Float Room.